Many Irwin Allen related collectibles are showcased in this gallery. If you have any Irwin Allen collectibles you think other fans would enjoy seeing, please let us know. The latest collectible gallery featured here is for the Aurora Seaview model kits courtesy of Dave Holderbaum. 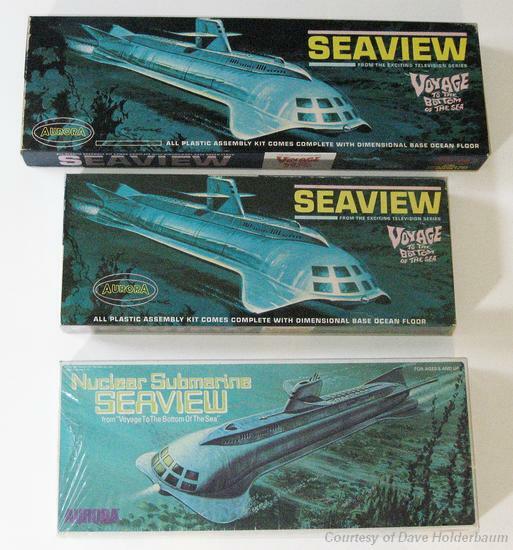 You can also view many Voyage toys and model kits in the Irwin Allen News Network Voyage to the Bottom of the Sea Collectibles section.